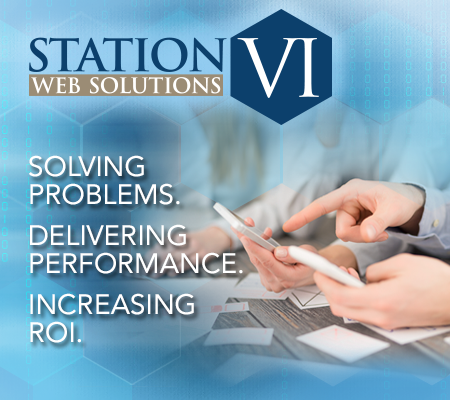 Station VI Web Solutions: Where Value Meets Intelligence. Explore the Benefits of a Value-Based Approach to Building, Maintaining, Updating, Optimizing & Safeguarding Your Website. Plenty of companies offer web services. Making the right choice — finding a trustworthy firm that can do the work professionally and creatively in a timely manner — can be a huge challenge. At Station VI Web Solutions, we wake up each morning knowing that earning and keeping a client’s trust is a critical component in creating a successful relationship. Here is how Stations VI Web Solutions builds value-based, long-lasting partnerships. The Station VI team has countless years of professional experience working with web technology. Station VI founder and principal Doug Catiller enjoyed a previous career as an enterprise systems and infrastructure consultant, where he solved high-level problems for IT Directors, Chief Information Officers and other corporate leaders. Building a website without goals and strategy is like bringing a blowup raft to a drag boat race. It’s not the right vessel to get you where you wish to go. After all, your company’s website is the single-most essential marketing tool for attracting new customers, retaining and growing current customers, and coaxing previous customers back into the fold. We begin solving your online challenges by taking the time to listen carefully before devising an appropriate strategy within an acceptable time frame. The Value of a Comprehensive Approach. Because we provide a full spectrum of services including design, management, hosting and ongoing support, we become our client’s single source for everything related to an effective, secure, successful website. The Value of Technical Know-how. With some two decades of network systems and infrastructure consulting under our belt, we bring an enterprise systems model to web solutions that are fast, secure and stable. We design websites to address many issues that affect your search results. Including performance, security, and a clean, logical layout. We build websites for a great mobile experience featuring optimal mobile responsiveness. Developing mobile apps for iOS and Android platforms. Designing simple billing systems that help independent consultants and small companies that bill their time by the hour. Building secure client portals that improve customer engagement. Providing managed hosting to keep websites fast, secure and stable. Creating corporate identity packages, such as logos and point graphics. But the truth is that hackers may not be after your personal information or assets. Sometimes, they invade websites just to use them as launching pads to attack those “bigger fish.” The bottom line: Securing your website is usually not very costly or complicated. So ask yourself this question: What is your peace of mind — and the potential inconvenience of fixing a compromised website — worth to you and your company? At Station VI Web Consulting, building websites with purpose and value is what drives us to do our best. We provide small-to-medium size companies with a variety of web services based on a crystal-clear principle: We help each client leverage their website investment to maximize ROI and grow their business. We do this by combining skill, knowledge, integrity, creativity and hard work. A successful website is built around — and promotes — six keys to every thriving business. Who Do You Trust to Get Things Done? For reliable, responsive web design in Southern California and beyond, contact Station VI Web Solutions. Let us show you all the good things that can happen when Value meets Intelligence. Have a question? Need more information? Please let us know how we can help.